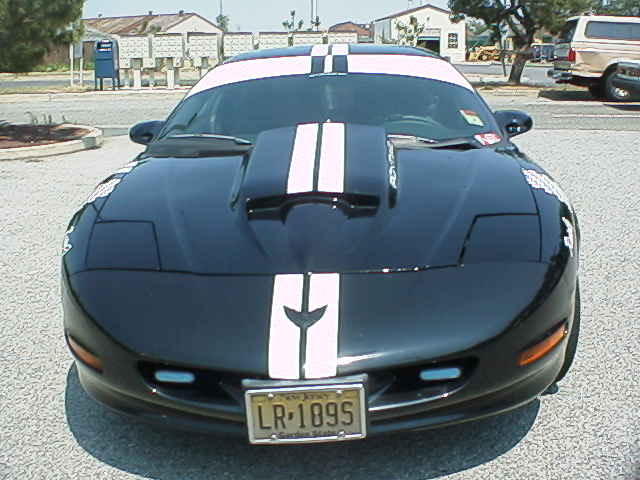 "I just want to say thanks for allowing people the opportunity to post their cars on your site. 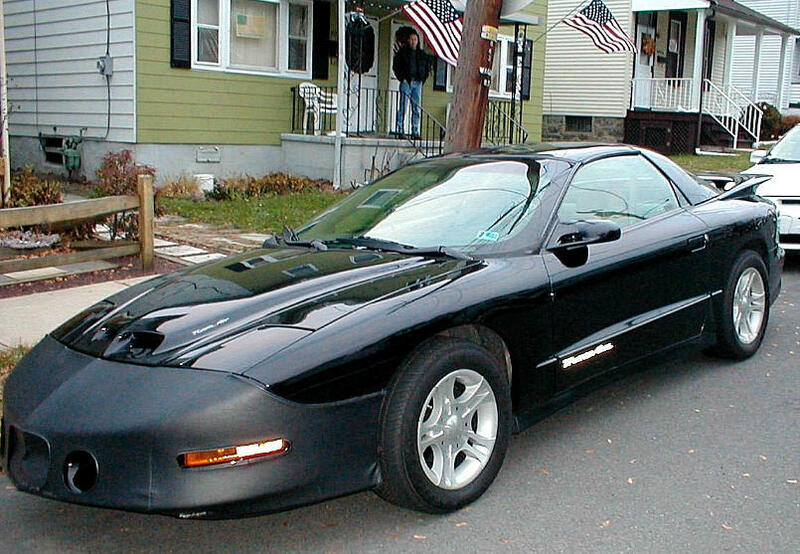 This car started out as a standard 1994 Trans Am GT. Complete with those ugly rims, which I am sure alot of guys know what I am talking about, and the lack of the Ram Air Hood. So those were first to go. 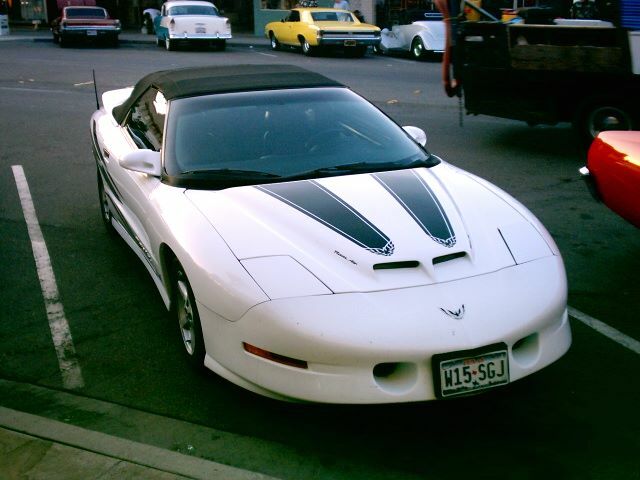 I bought the SLP Hood, and got lucky with the WS6 Rims. 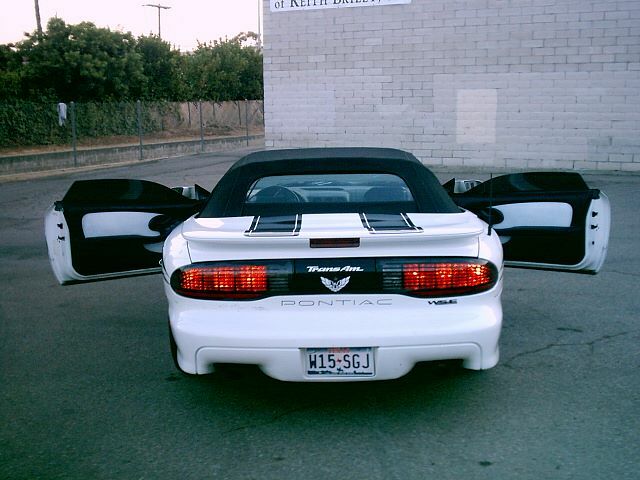 Found a good deal for the rest of the WS6 package, to fit in with the later models, and off I went from there. Exhaust, Throttle Body, Thermostat, Roller Rockers, etc. Haven't gotten into the engine much but soon enough. 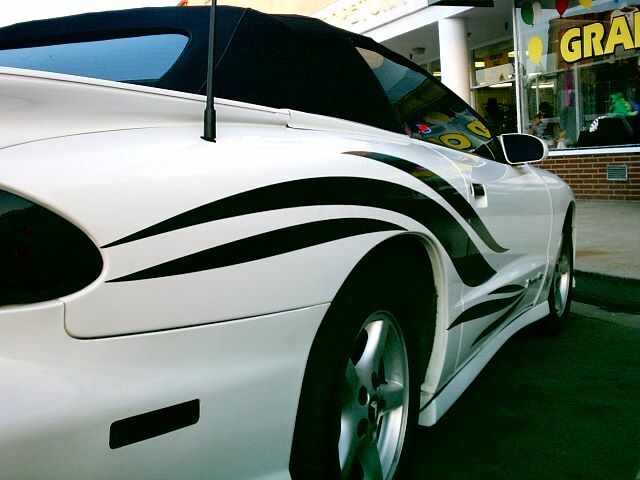 The decal kit was the newest edition, just to add a little spice...seeing how these beauties are getting endangered. Anyway, thanks for looking, and thanks for having me on. 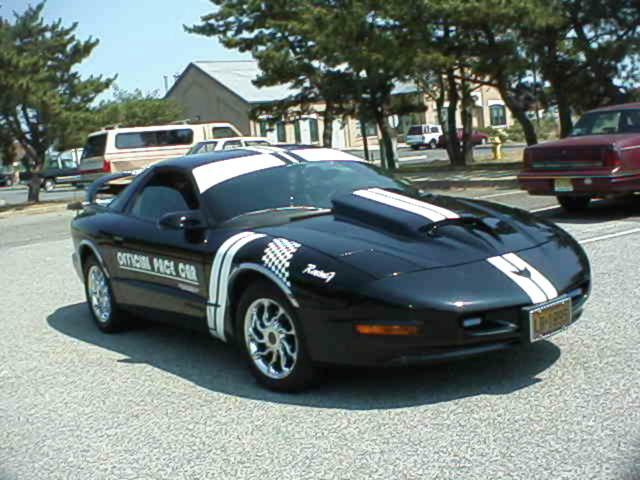 Awesome Cars........"
This was a concept car built by PMD. 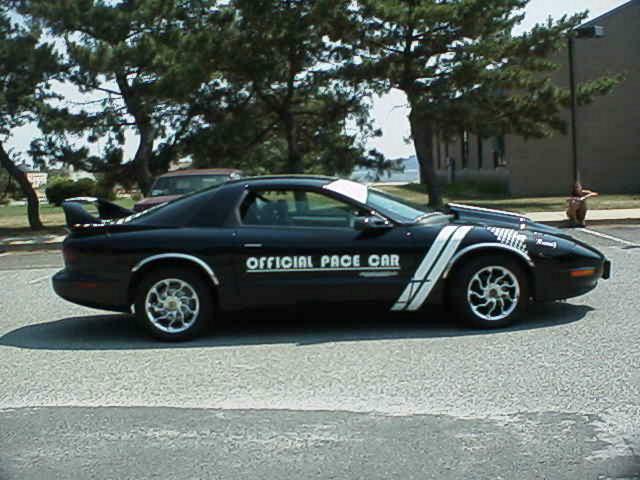 As you know the Ram Air package wasn't offered until the '96 year model. 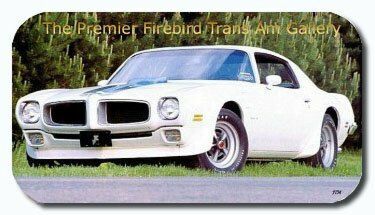 This Firebird and the testing it endured paved the way to make that happen. 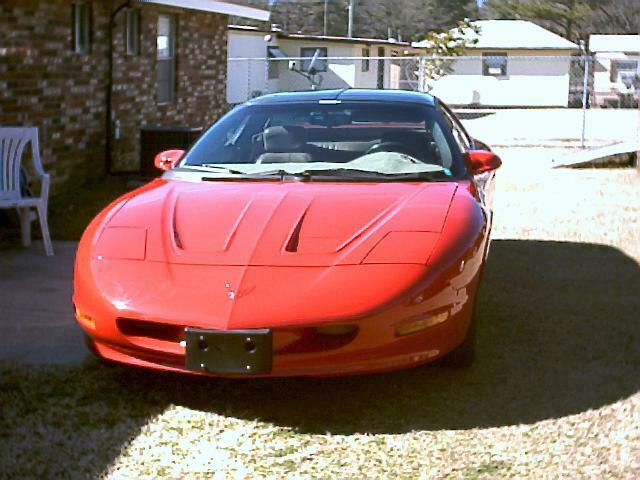 "Hi my name is Eric J. Martinez and this is my 1994 Pontiac Firebird. It has a K&N air filter charger and a stage 2 hyper-chip. 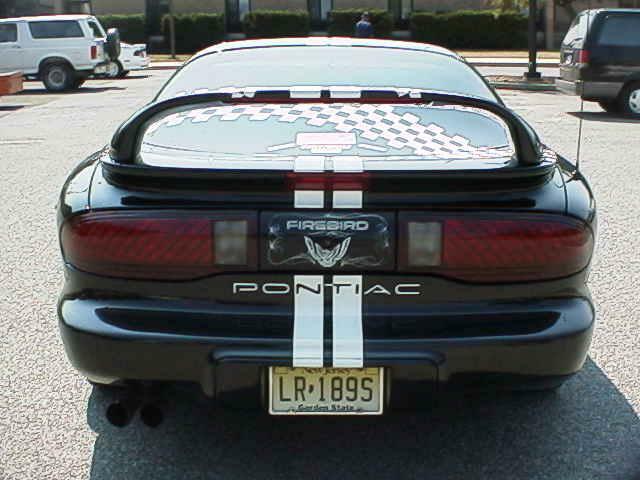 I also put a Flowmaster exhaust on it and did the custom stripes. I have an Alpine CD player with remote, Kenwood ps 200 amp and two 10" kicker competition speakers in a band-pass box. I did some custom interior work. It has 245/50/16 on custom rims, custom fog lights and light show with six 15" neons and two 30" neons and 4 strobes oh and I forgot the 50 feet of neon cable; a cool light show. Well e-mail me and let me know what you think!" "Borla cat back 3" dual exhaust, Harwood Ram Air Hood with functional kit, K&N air filter, 160 Thermostat, Holley Air Foil, Hypertech Power Programmer III and Hyfire Ignition Control. American Racing 16x8 Aluminum Teron with Goodyear Eagle Tires P235/55/16 wheels. 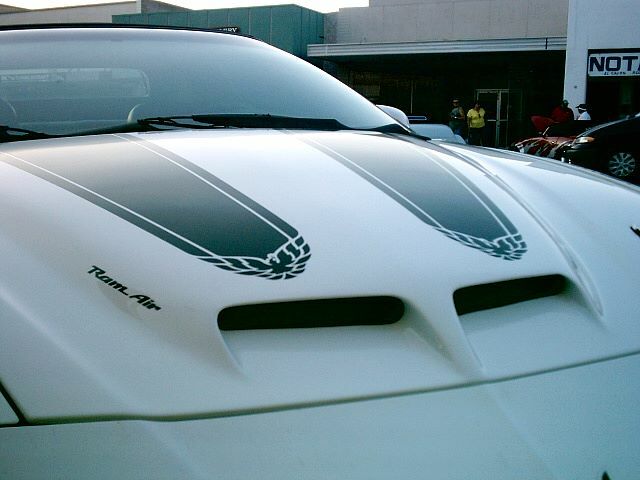 Other features includes Reflective Concepts Trans Am door overlays that reflect silver and a Totally Alpine stereo system including speakers, CD, and BBE loudness control. Four speed automatic transmission with performance push button activation. This car with options so far added is One quick car. 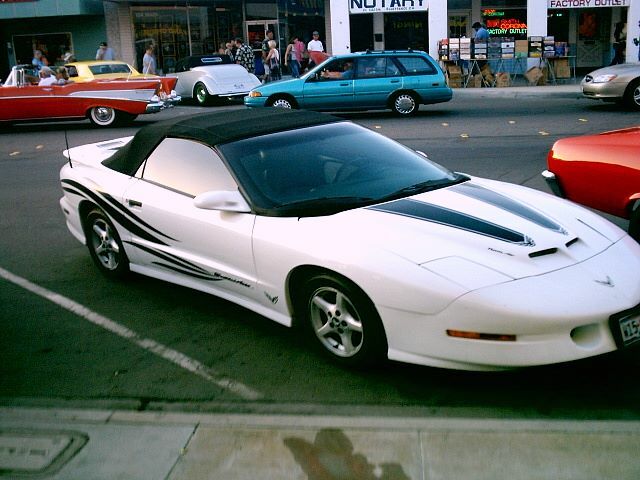 Other added features in the future are 3.73 gears, 1.60 rocker arms, Richmond 3.73 gears, Mallory Opti-spark, Champion Platinum Plugs, new 2 1/2" Y-Pipe with high flow cat, new Torque converter and new 4L60E Transmission, and new rear high performance shocks. 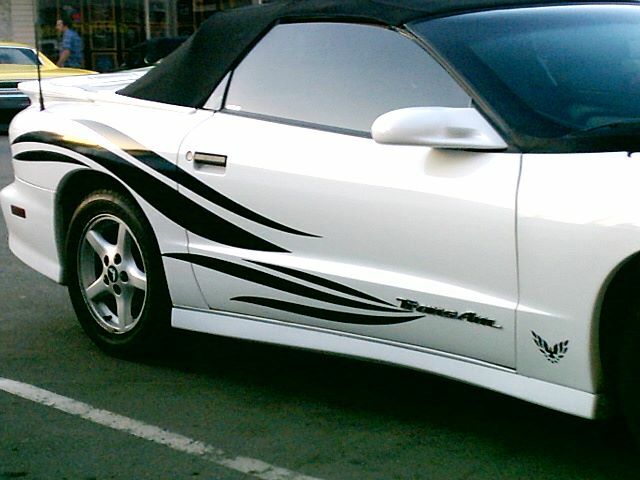 This car is a permanent keeper." 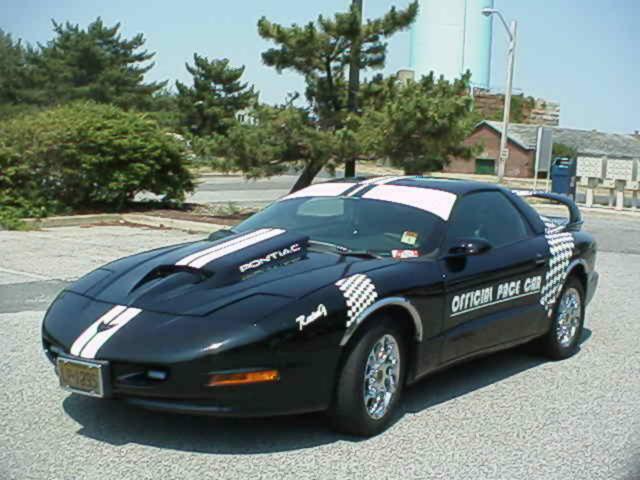 "This is 1 of 328 '94 Firebirds that Pontiac/GM authorized for the Military car sales to ship overseas. 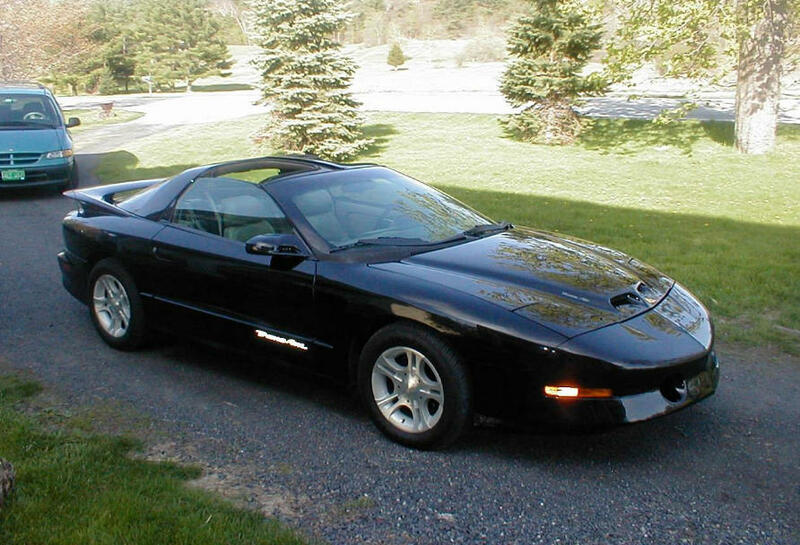 This Firebird was sold in Feb '94 to the original owner with delivery to Yong San, South Korea. I bought the car last year with 41,458 miles on it. 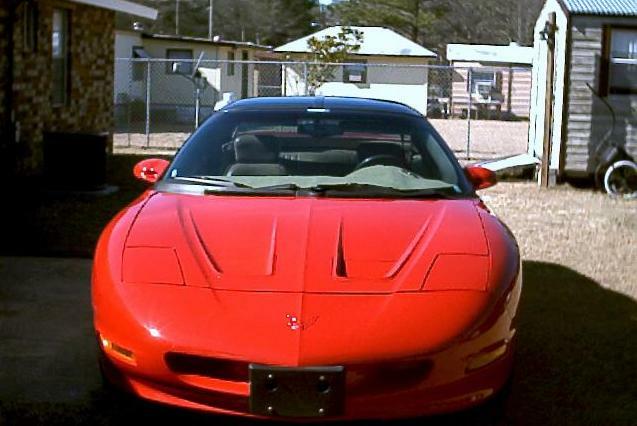 It has the 3.4L V-6, 4spd auto, bright red w/tan leather interior, AM/FM Cassette w/Equalizer, premium sound (10 speakers), T-Tops, power windows, power door locks w/remote operation, steering wheel audio controls, tilt, and cruise control. 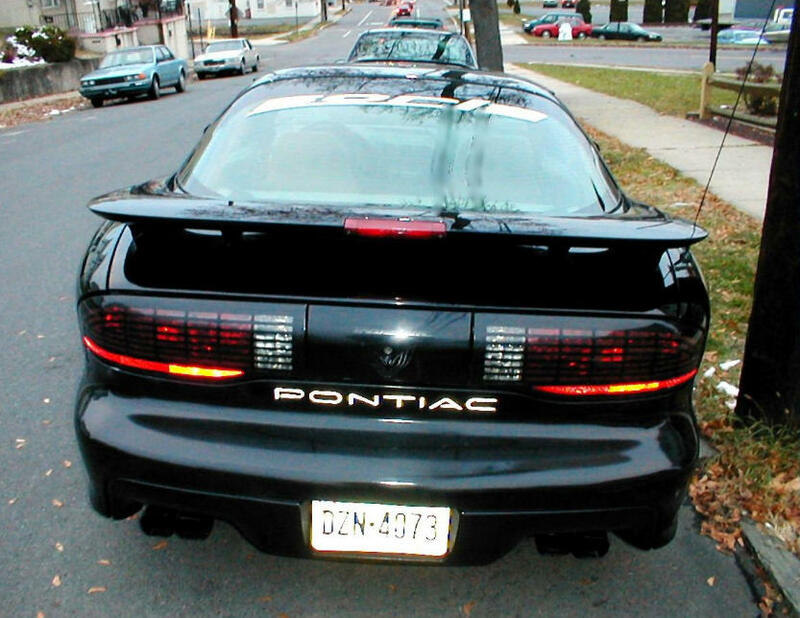 In the very near future I will have cat back dual exhaust (Magnaflow w/stainless tubing) installed, upgrade the stereo to a CD and tint the windows. This is a very cherry ride all original at the moment. Gets 28-30 mpg on the highway and 20-22 mpg around the city. 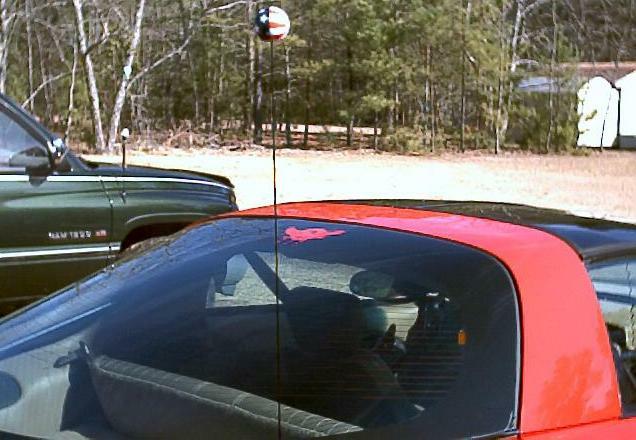 I enjoy the ride in this car particularly on nice sunny days with the T-Tops removed."